1.Material 1.2mm with the 38mm isolation gas steel double-wall structure, add fire cotton, fully welded, non-riveting structure to have a longer time, because there are fewer air gap may provide better fire protection. 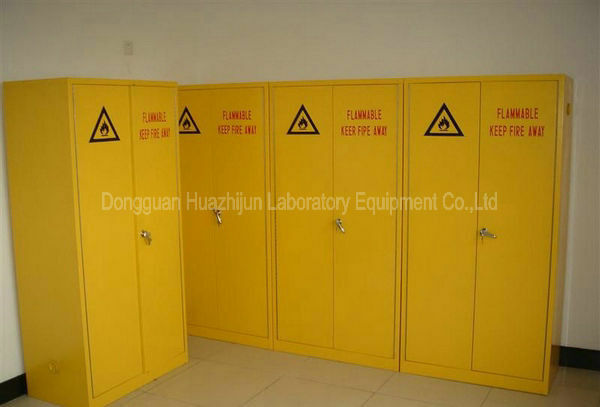 2.Internal and external before spraying the acid phosphate coated with epoxy and polyester mixed chemical-resistant lead-free layers, maintaining high smoothness and reduce the possibility of corrosion and the effects of moisture and UV. 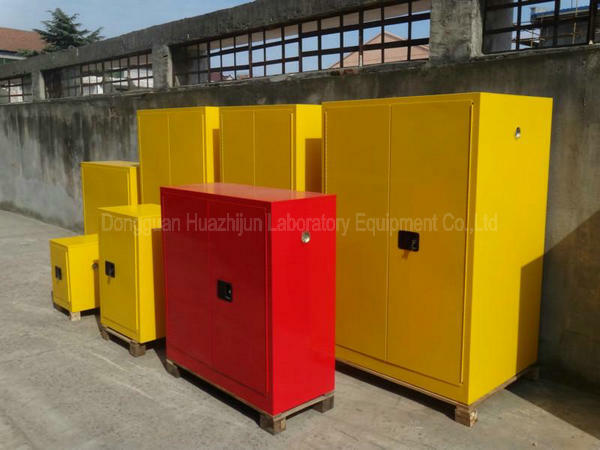 red and blue cabinets made with imported flour fluorine-carbon spray coating, respectively. 3.Facilitate smooth continuous piano hinge closure. 4.Three point linkage, lock safety padlock clasp protection Cabinet contents, reserved (can be equipped with a padlock) increased security, unique grip pad provides reliable retention. 5.Striking the reflective labels and has high visibility in fire situations. 6.Welded baffles-linked connections partitions provides maximum slip resistance. Not easily damaged. 7.Laminates with 150 kg loading. Unique safety design, laminates can be safely guided accidentally splashing liquid to leak-proof bottom storage tanks. Storage tanks is 51mm to meet EPA requirements. 8.Built-in grounding connector located on the side panel outer panel for easy ground. 9.Adjustable level foot over uneven ground smooth. Fire-resistant device built-in vents located on either side of the Cabinet, better ventilation and exhaust. 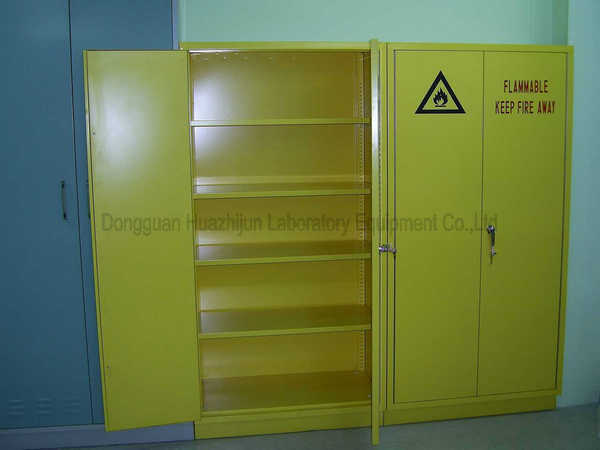 10.Special size cabinets can be customized according to customer requirements in order to meet site requirements.